Of all the places in Northern Ireland to host a party, conference or event, Portrush is surely one of the finest. Nestled in the scenic countryside, dramatic cliffs and brimming with history, the town is perfect for a peaceful rural retreat. Whether it’s a meeting, wedding or party, we’ll have all of your needs taken care of right here, so you can relax and enjoy yourself with your friends, relatives, and colleagues. 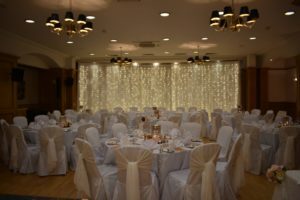 Our events venues are some of the finest destinations for you to hold a birthday party, or any other event in the country of Antrim. And with accommodation available just upstairs, and all the amenities you could possibly need – why not make it an all-inclusive experience and dance the night away without worrying about getting home? With our all-inclusive wedding packages, you can be sure that everything will be taken care of. If you’re looking for an idyllic, rural retreat to celebrate the most memorable day of your life, then Portrush is the perfect option for you. 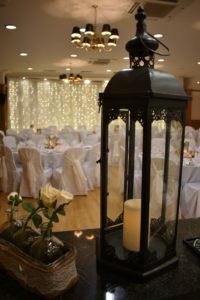 Our large, open wedding venue will let in all the natural light of the Irish countryside, decorating your wedding reception with the beauty and splendor you deserve. It’s never too early to start planning your Christmas getaway. And luckily, you’ll be happy to discover that we have plenty of opportunities for a fantastic Christmas here at the hotel. Why not book yourself in for our Christmas Day Carvery – all the joy of spending Christmas eating a fantastic roast with your friends and loved ones, without any of the hassles of cooking it. If you’re looking to have a meeting or conference in a more remote, laid back environment, then Portrush could be a fantastic choice for you. With our meetings and events rooms, you can be sure to have a relaxed yet professional meeting by the sea, with all the amenities you need and preparations are taken care of by the attentive staff here at Portrush Atlantic. 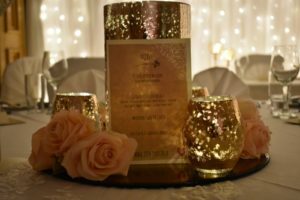 Whether it’s your silver, golden or platinum wedding anniversary, you’ll almost certainly want to commemorate it in style and comfort. 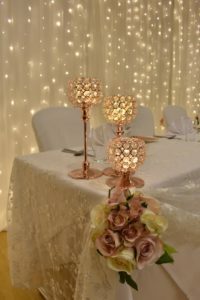 The gorgeous geography of the North Antrim Coast, complete with the Atlantic coastline and sweeping cliffs is certainly as good a place as any to celebrate years of happy romance. Why not enjoy some afternoon tea with prosecco as part of the celebrations? If you want to talk in more detail about the individual requirements of your event, then don’t hesitate to contact us. Our professional team here will make sure that all your unique needs are perfectly tailored to. Book your room today for a Portrush getaway to remember.